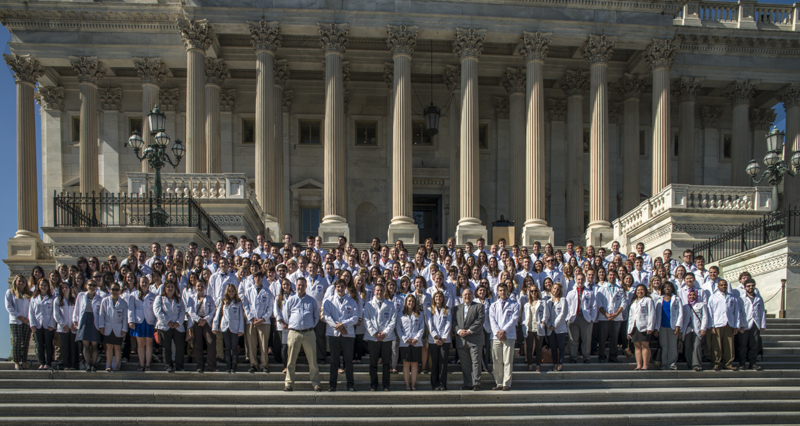 As part of a Continuous Professional Development (CPD) course, 195 students from Duquesne University Mylan School of Pharmacy traveled to Washington, D.C. from October 16-18, 2014, to meet with their senators and representatives to advocate on behalf of HR 4190. Students from the Weekday Pathway Class of 2017 and the Weekend Pathway Class of 2016 were represented. 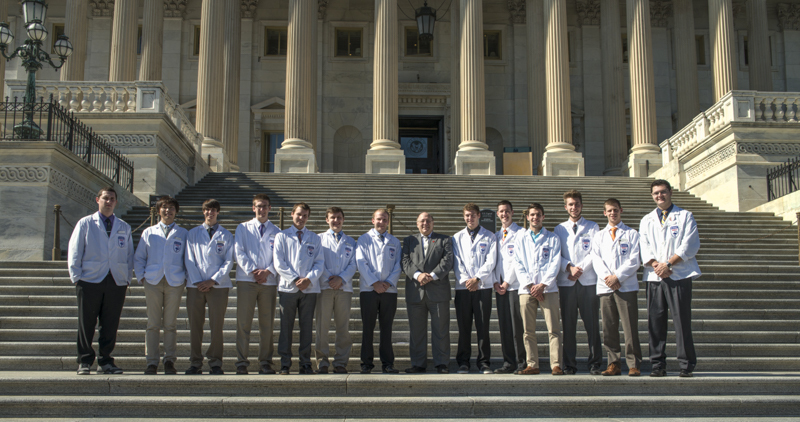 Staff from the American Pharmacists Association (APhA) assisted with arranging legislator appointments and providing students with advance preparation. 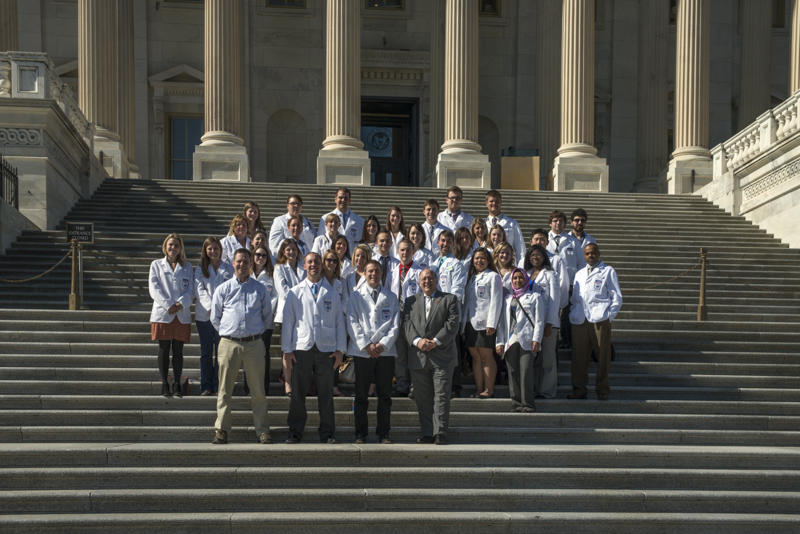 If enacted, this legislation would grant provider status to pharmacists under the Social Security Act, allowing pharmacists to be compensated for providing care to medically underserved areas, medically underserved populations, and areas with health professional shortages. 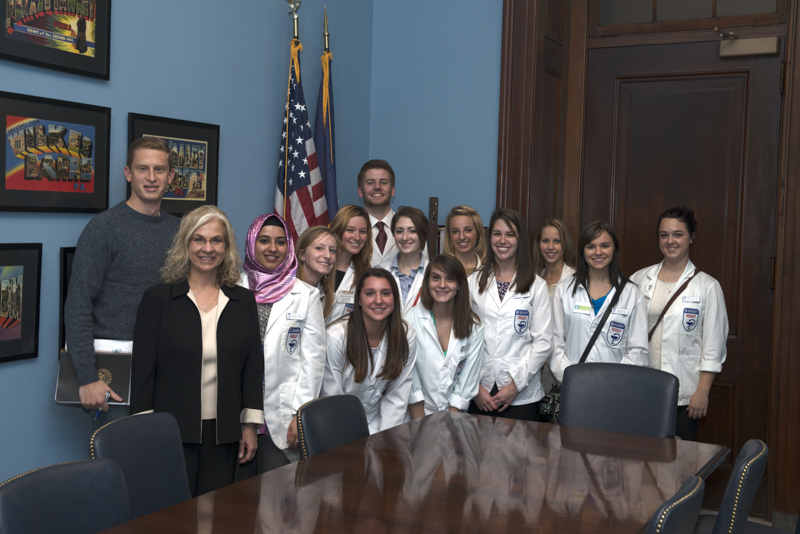 Students met with 53 legislative office staff to explain how pharmacists can promote positive health outcomes and reduce overall healthcare expenditures across the Medicare population. 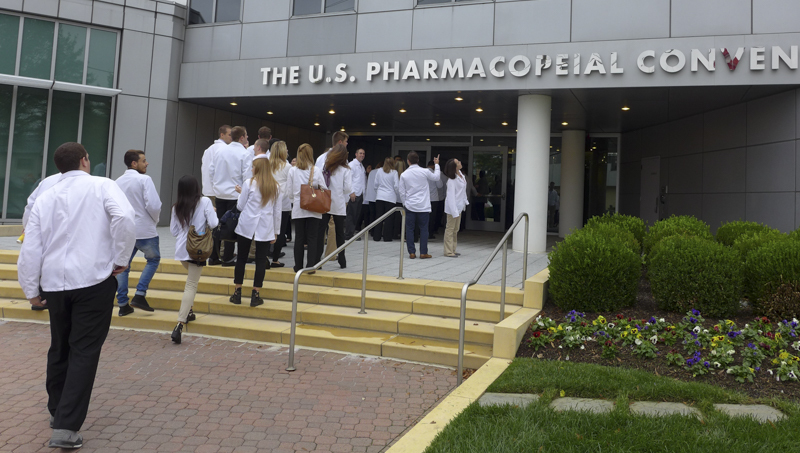 Students also had the opportunity to meet with representatives from the U.S. Public Health Service at United States Pharmacopoeia (USP) headquarters in Bethesda, MD, to learn about pharmacy career opportunities with the federal government and with USP. In addition to sponsoring a morning send-off breakfast, CVS Health provided an overview of multiple pharmacy career opportunities across their organization. Before returning home to Pittsburgh, students had an opportunity to tour the Washington, D.C. area.